ORLANDO, FLA — Benchmark Hospitality International announces plans to open The Grove Resort & Spa, an 878 room all-suite resort in Orlando, located on Lake Austin and just minutes from Walt Disney World®. The Grove Resort & Spa will bring a new type of hotel destination to the area with an expansive 106-acre blueprint that incorporates a portion of Central Florida’s conservation grounds. Its world-class, family-friendly water park and amenity package will include the first surf simulator at any Orlando hotel, a winding lazy river, four swimming pools, and a variety of dining options that include full-service restaurants, bars, and a large scale grab-and-go marketplace. Billed as the largest development of its kind currently underway in Orlando, The Grove Resort & Spa is scheduled to open its first phase on January 9, 2017 with 184 two and three-bedroom residential-style guest suites. Guests will find endless opportunities for entertainment outdoors: at The Grove’s Surfari Water Park, children will splash through an interactive water structure with multiple slides; families will float down more than 725 feet (221 meters) of lazy river; and nearby lounge chairs and umbrellas will offer shade from the warm Florida sun. A trio of neighboring swimming pools, known as The Springs, will provide additional areas for play and relaxation, while adventurists will be challenged with a ride on The Grove’s surf simulator – a first for any Orlando hotel. For those looking to lounge, a zero-entry pool with reclining chairs will be located on the main deck, while covered cabanas can be found in a secluded area next to Lake Austin. A lakeside dock will be home to a selection of watersports, paddle boats, and fishing. 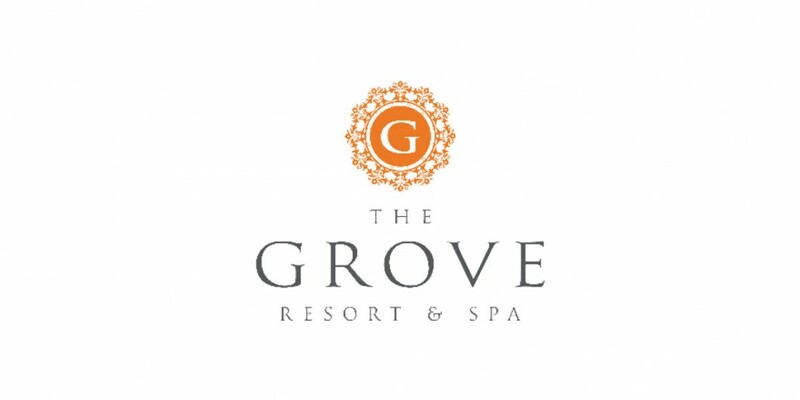 The Grove Resort & Spa is owned by a joint venture between certain affiliates of Westport Capital Partners and BTI Partners, with BTI Partners as the development partner. Houston, Texas-based Benchmark Hospitality International will manage the property as part of its signature Benchmark Resorts & Hotels portfolio. The Grove Resort & Spa is located at 14501 Grove Resort Avenue, Orlando, Florida 34787. Toll free: 1-844-203-0209. Local: 407-545-7500. www.GroveResortOrlando.com. The Grove Resort & Spa will open in Orlando, Florida on January 9, 2017 as an expansive 106-acre hotel destination located just minutes from the west entrance of Walt Disney World®. Set on Lake Austin and amid a portion of Central Florida’s conservation grounds, The Grove will become a sanctuary from the boisterous pace of the outside world, neighboring theme parks, luxury shopping, and entertainment centers. 878 two and three bedroom residential-style suites with full kitchens, full-size washers and dryers, multiple bathrooms, and screened patios will offer guests the comforts of home, while the resort’s hearty collection of amenities will deliver the luxuries of a fullservice resort. Four swimming pools and the Surfari Water Park will be a focal point of The Grove experience, with its interactive water structure with multiple slides, a lazy river stretching more than 725 feet, and the first surf simulator at any Orlando hotel. Guests will also enjoy a selection of watersports at the resort’s lakeside dock, an intimate spa, fitness center, and a children’s game room. Dining options will include the indoor/outdoor Valencia restaurant, Longboard Bar & Grill and Springs Bar & Grill at the pool areas, with additional food options available at the large scale grab-and-go, Alfresco Market. 6,000 square feet of flexible space will be available for weddings, family reunions, and other meetings and special events. The Grove Resort & Spa is managed by Houston, Texasbased Benchmark Hospitality International. For more information, please visit www.GroveResortOrlando.com. Follow The Grove via Facebook.com/thegroveresortorlando and on Twitter and Instagram at @thegroveresort. About Benchmark Resorts & Hotels® Benchmark Resorts & Hotels® represents the finest in lodging, dining, recreational and meeting accommodations. Many are certified by the International Association of Conference Centres, the leading professional organization governing the multi-billion dollar conference center industry on five continents, and many have also been recognized with the coveted Benchmark Conference Centers® certification of meeting excellence. Benchmark Resorts & Hotels deliver highly specialized service that anticipates guests’ needs and ensures a hospitality experience unsurpassed and long remembered. www.benchmarkresortsandhotels.com. To become a fan on Facebook, visit www.facebook.com/BenchmarkResortsandHotels, or follow us on Twitter at www.twitter.com/BenchmarkHotels. Looking for an Orlando Expert?